The farmers market is turning out to be a decent venue for my wares. So far my coasters are turning out to be fairly popular. 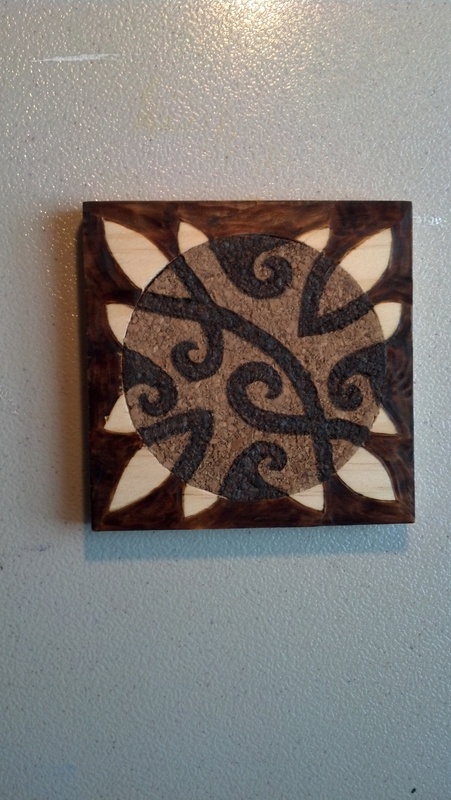 Having said that, I am going to try to take my coasters in a slightly different direction by combining wood and cork. 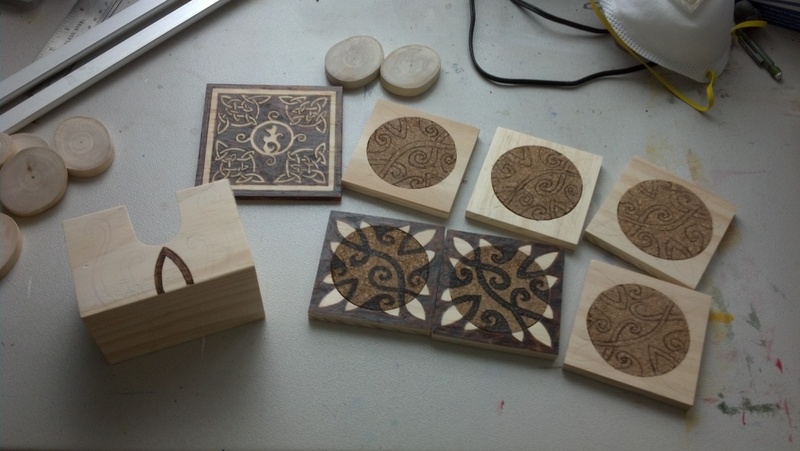 The coasters will come in sets of 6 with a matching box to keep them in. Also, the fall craft shows and the holidays are right around the corner so I am working hard to up my inventory. 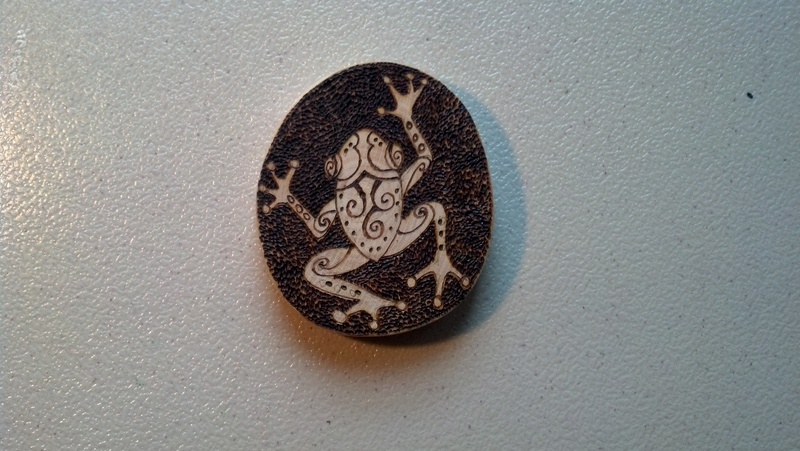 I have more ornaments, magnets, pendants, bowls, frames, and spoons in stock and ready for burning.